Oils are crazy, that is the subtitle. I wanted to share with you something that has been rocking our worlds, affecting our lives in crazy and amazing ways, some of which I still can’t even believe. Since I last wrote about Essential Oils, a few things have happened. First, I got a few emails from people who purchased and used them for the first time after hearing about them here–and it blew me away. 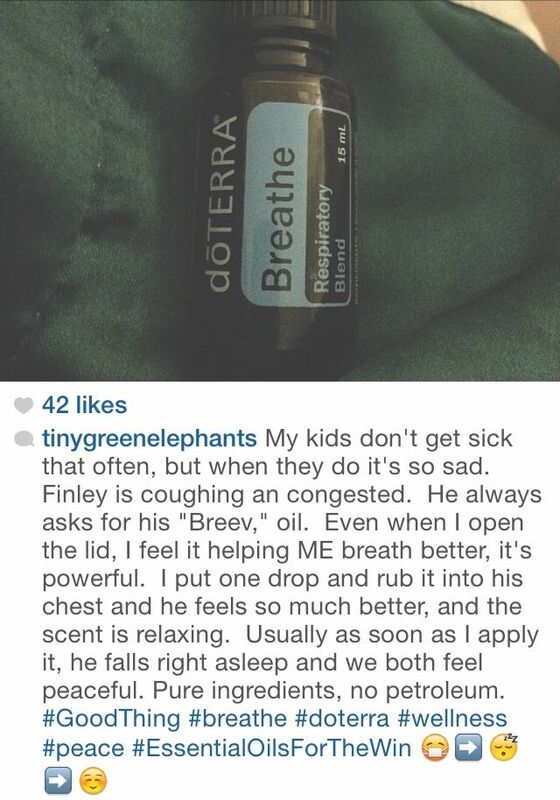 The first one was when Finley wasn’t feeling well the other morning and I posted on Instagram about how much we love the Breathe Oil, and how it opened his poor, drippy airways and he could breathe and rest. Right, that’s how it is, cause ‘oils’ sounds so weird, but then–they work like crazy. It really is shocking. So happy for that little household. Another story, this one about me and my brother. The other day, 2 weeks ago, on a Saturday I had the WORST stomach ache, I told Andrew I had to go lay down. I had just heard the OilRN who used to be a nurse, but now helps people with oils, talking about oils and how to use peppermint. She said that as opposed to something like motrin, which you have to wait many hours in between using it, you can apply oils as often as you like. So I hoisted my pitiful self up and touched the peppermint oil onto my stomach. It was better instantly. So I didn’t believe it. My skin kind of tingled as you would imagine pure peppermint oil would do, so I just thought I was feeling that and it was masking the pain. But then I got up, and went into the kitchen. “Um…yeah, I used that peppermint oil, on my stomach. And I feel better….” It was so weird. 15 minutes later it started hurting again, but I remembered about being able to apply it right away. I did, it went away and the pain never came back. What. The. Heck. So, fast forward that same day, my brother was supposed to come over to help Andrew dig a drain under the avocado trees. He texted us that he was icing his stomach, it hurt so bad. “COME OVER I HAVE SOMETHING FOR YOU!! !” I told him, yelling in all caps. He limped in, we put on the oil. He instantly (you guys….) felt better and worked with Andrew all afternoon and finished the darn drain!!! He was so into it, he started coating his whole body in it before I batted it away, “I JUST GOT THIS!” I told him, “STOP! !” I showed everyone all the weird/amazing ways to use the peppermint since I now loved it, and was kind of in awe of it in a new way; like put one drop on the palm of one of your hands, rub your hands together, cover your nose and mouth and take a deep breath. It dramatically increases the uptake of oxygen into your brain and it’s like a wake up, similar to coffee, but with no stimulants. It clears your mind and makes you alert. I have Maria do this ‘self diffusion’ while doing school work. Or if Andrew is slowly waking up from a power nap, and I want it to be fast, I secretly put the oil on my hand and cover his nose…cause I am super loving. HAHAHA, and he’s UP! It’s cool, guys, it’s natural! Put a drop in your mouth if you got stank breathe, a drop in your water makes it taste great, and is good for your insides. Lavender: Lavender is all things skin. So here’s something that is making me feel real joyful these days, connecting with other adoptive families as a helper. I love helping people, talking to people (Some would call that an extrovert ; ) and in my little circle of special needs adoptions, it’s been really fun to research with them the best oils for things like open sores, eczema, sleep issues, digestion issues–I can’t get enough. The thing with oils, as opposed to over the counter items is that all the side effects are good side effects. The phycological side effects to these oils are powerful and healing. When your whole body relaxes because you are applying oil in one part of the body, it has an entire, systemic healing. So, lavender. My husband rocks his red hair, and sometimes, if we’re not careful, the sun rocks him. If I am sunburned, it will usually go away the next day. For him, the burn can last even 2-3 weeks 🙁 A couple weeks ago, he was burned, and since my confidence in the abilities of these oils has been increasing, I told him I’d put it all over his burned back. Well, first off, there’s nothing much more relaxing than the scent of lavender, and the connection of human touch that is often overlooked these days, but when he woke up, most of his skin was healed, only a few patchy red spots left, much duller. My major skeptic of a husband looked at his healed back and couldn’t believe it. Lavender: Found under Single Oils. I made my very first ‘order!! !’ It was so exciting, I took a picture of it when it came, as you do. My friend Savannah was over when it came. The first one we saw was Elevation, the ‘Joyful Blend.’ We doused it on our wrists, and I literally felt it go straight to my brain, and we were laughing and smiling with each other. When my kids woke up from their naps, it’s pretty hit or miss on emotions–that delicate witching hour before dinner, when you need to cook and get things moving…we rubbed a drop on their little chests and they were happy, dancing, making music, playing quietly. We haven’t stopped using this one since that day. Actually, I am going to go out on a limb and claim this one as my current favorite oil. And that’s saying a lot. For instance, during homeschool review of grammar–the one thing that can cause death–I didn’t die. Deep Blue: I got this one for Andrew, it’s for deep pain within the body. He has pain in his upper back, forearm and ankle. Chronic pain and the body is not healing itself through it. He asks for it to be rubbed everyday, just for the moment of relief. I rubbed the Deep Blue into his forearm just to see how he would like it. 1. It anesthetizes the spot of pain within or on the body. 2. It is a blend of calming and soothing oils so help your body relax because if someone is in constant pain, usually their whole body is tense. 3. It is systemic in it’s tissue pain healing, and even when you put it on one spot of your body, people often will feel it effecting pain in other parts of their bodies. So, if you are at my house, and you are not feeling well, just know I will probably be putting oils on you. You have a headache during our BBQ, I’ll grab the Peppermint and Frankincense and put them on your neck and temples. Expect to feel relief. What’s good and powerful is that we as consumers today have such better access to research and information, and just aren’t satisfied with putting toxic, strange or synthetic things into our bodies or the bodies of our children. We want better, and we know there are better options out there. In this case, the the simplest option, most natural, made from plants. Some people think that oils are ‘New Age-y’ when in reality, oils for healing have been around for millennia, and are even talked about in the Bible over 300 times. Thank you for reading, and I hope you try one that will fit your family and have the same crazy and amazing results we have had. So I loved asking last time, what are you favorite oils and why? 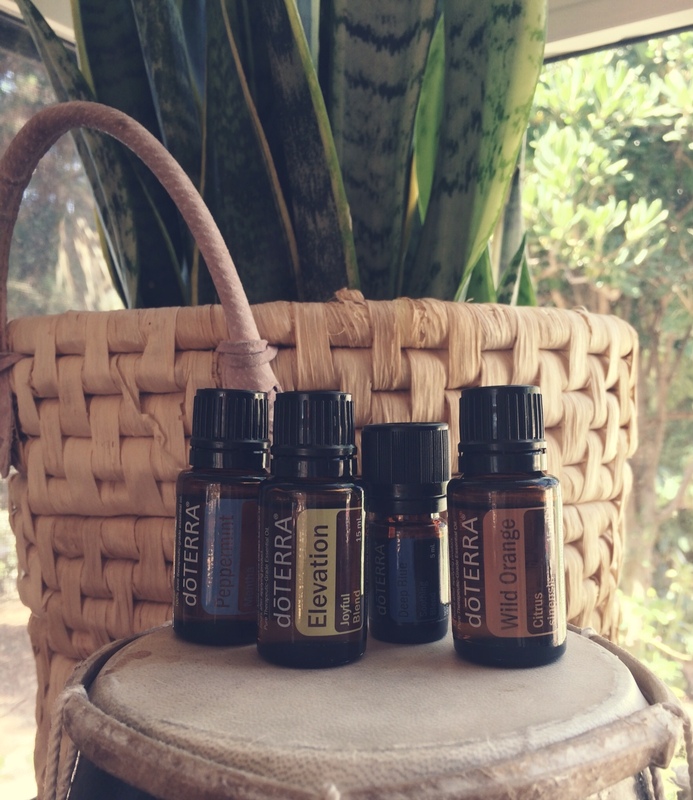 Are you someone who uses oils often, what is your experience? Or have you never used them, what are your thoughts? Skeptics like us? Please share! I learned a lot from your comments last time! We love oils! Love, love, love. My skeptic hubs–he asked me how many gallon drums we were getting for the cost of the starter kit, lol–has become an oily dude. He now asks for oils on his feet. He’s a mail carrier, and a few months ago he was having bad, bad pain in his knee–so severe he thought he might have to quit his job. I got out the PanAway (we use YL oils, nothing against doTerra-my first oil was ‘sleek and sassy’ and started me on my oily journey) and the peppermint and a few minutes later he said “Wow, what did you put on me? ?” Much much better than BenGay! He loves an oil called ‘StressAway’ and we both use it morning and night on the backs of our necks. I also use a protocol for him with Cedarwood, Vetiver and Lavender for his ADHD and he said he could feel a difference. I use Thieves regularly (I think it’s called ‘OnGuard’ or ‘TerraShield’ in the dT line). I made a spray using Lavender and last night my hubs was spraying it all over the place before bed. LOL! Oils are awesome. I thought perhaps you might have some insight into this? Such a good question, I think for a long time people assumed chemical things were better, like when formula came along, people assumed it must be much better for babies because doctors created it. Plus, the health care industries and prescription companies are big bucks–so many downsides that that involving addiction and dependancy. My oh my, I love those oils! My mom had to have both of her knees replaced within a few weeks of each other and the Dr. put Helichrysum in the knee before closing her up (yay for open minded Dr.’s!) She healed amazingly well and the scar was beautiful! My favorite oil right now is Lemongrass. It’s amazing on headaches and pulled muscles. Just simply amazing. doTERRA is blessing for sure! Seriously, doTerra is a blessing, we love it. Lemongrass, huh? I well have to save that one, I’ve heard other people saying the same! Thank you for the advice! I am so grateful for you writing about these oils. After your first post, I bought all three that you wrote about (Breathe, OnGuard and Serenity). Since then I’ve gotten pregnant and started back up at work at a school. The Serenity is really helping me to sleep – I was having cramps and other uncomfortable feelings that come along with early pregnancy and it helps me not be up every hour. Started feeling like I had a sore throat recently and used OnGuard – gone the next morning! And allergy season is in full swing – so I use Breathe while I sleep with the window open. Love it. Curious if you have any suggestions for nausea! That is my ongoing issue now! YESSS! Double yes, first, so glad you tried those first three, they ARE amazing. You can apply them onto your skin, take them internally, or, what I would do in the mornings is diffuse them. You can get diffuser, and diffuse them in the air to start breathing the oils in, which is nice aromatically, but it is continuing the healing process of the oils throughout the morning, or whenever you are diffusing them. Thanks so much! I will probably order those! I am not feeling TERRIBLE but a little boost will help me I’m sure. The Breathe has helped SOOOO much with my allergies recently – and my snoring!! As for my placenta, YES! I am seriously considering encapsulating. I have been reading about it and a friend had an awesome experience with it. I’m worried about breastfeeding and I think that it helps with that. I’m NOT however a natural birth momma… bring on the epidural! I’m going to have to have oils during birth for sure..
Sarah, which oil helped you get pregnant? Or was it all 3? We’ve been trying for 6 months so any help would be welcome!! Carla, I didn’t use oils to get pregnant – but I can tell you that I tried for a year before it happened. And I was charting and everything. Just be patient – and see your dr when you get frustrated. I saw mine at about the 9 month mark and discovered I had a thyroid issue. Fixed it and got pregnant shortly thereafter. Hi there! Just curious as to how long a 15 ml bottle of Serenity would last if I were to use it once daily? Thanks! Awesome question, I’m not sure exactly, but a very long time. We have our same bottle of OnGuard we use often from two years ago in Russia. We have used our Serenity multiple times a day on multiple children and I am looking at the bottle now and it is not half empty yet, but close. 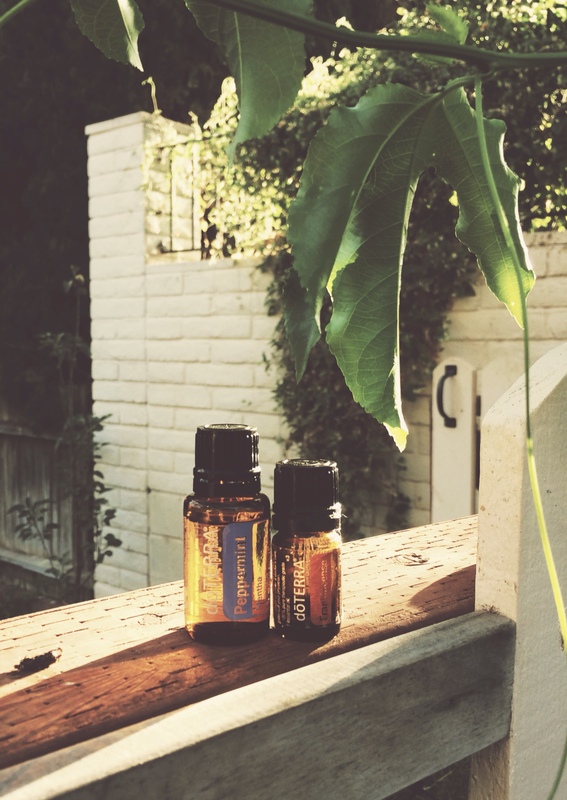 With oils–it’s just one drop at a time, because each drop is so powerful. Here’s another type of use – peppermint oil will keep mice away. One year we moved into a rental that clearly had an existing mouse problem. We didn’t yet have kids, but had dogs, so I was very cautious about how to deal with the mice. I put cotton balls in various places around the house, each with a couple drops of peppermint oil on them. We never saw a mouse in that house again! (Put something under the cotton balls to keep them from leaving oil marks on surfaces.) I use this trick in my office at work too.